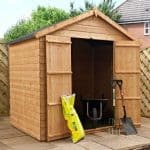 Wooden Sheds - Who Has The Best Wooden Sheds? 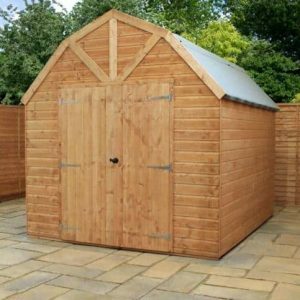 Wooden sheds are the most traditional garden buildings of them all, and they’re just as popular today as they have ever been, combining practicality and visual appeal. 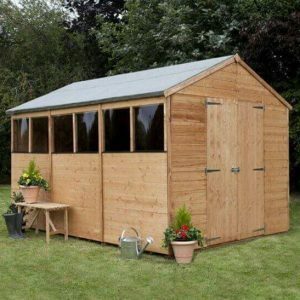 There’s a huge variety of wooden sheds to choose from, in all styles, sizes and price bands, so finding the one that’s just right for you can seem difficult. 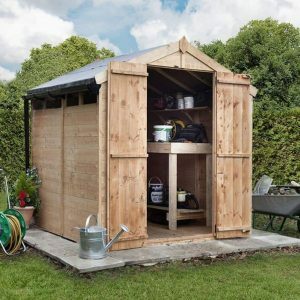 Help is at hand with this WhatShed guide that reveals the twenty best wooden sheds that can be bought online in the UK today. 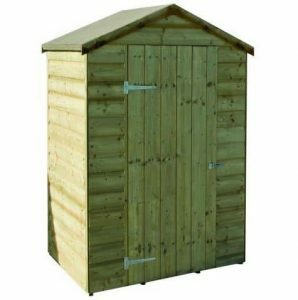 Just below we’ll look at what criteria we used to define a wooden shed. Once we’d found the twenty best, we then ranked them by considering a number of factors such as cost and value for money, durability, visual appeal, and value adding features such as secure areas and extended warranties. When creating this wooden sheds league table we wanted to showcase the best sheds rather than garden buildings designed primarily as workshops. For that reason we imposed a maximum base area of twelve foot by ten foot. We also ruled out log cabins by only considering garden buildings that used overlap, shiplap, or tongue and groove timber cladding. With this criteria in place we were pleased to find twenty high quality and yet diverse examples. With such big differences in price, size and style between the sheds in our league table, selecting the overall champion was difficult. 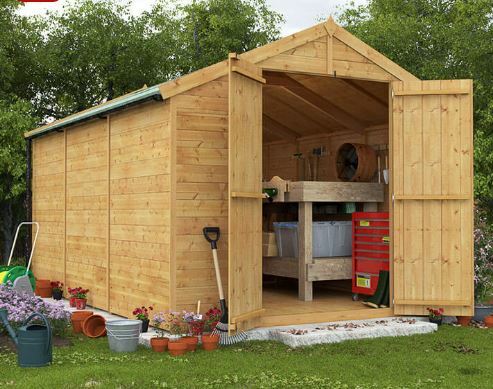 Congratulations then go to Waltons with the Woodland Trust 6 x 4 Kurva Curved Roof Wooden Shed. 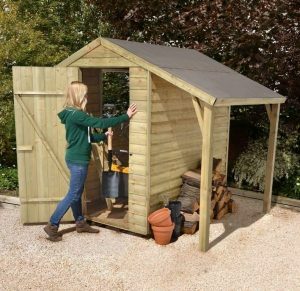 Thanks to its innovative design, it tops our guide to the UK’s very best wooden sheds that can be bought online today. 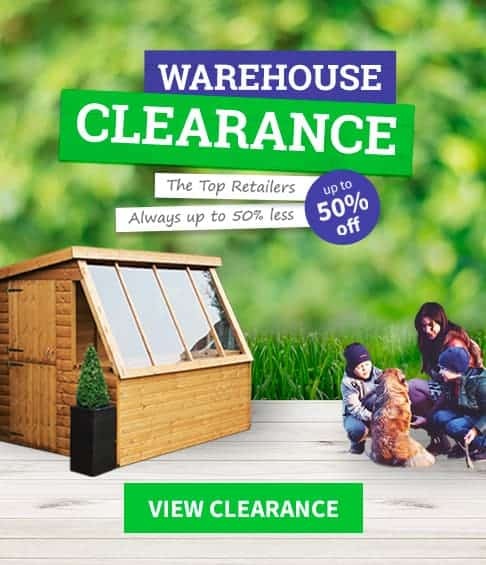 Whether you want garden sheds or greenhouses, the independent reviews of WhatShed can help you make a perfect purchasing choice, saving you time and money. These wooden sheds look markedly different to the other BillyOh model we looked at earlier, although it should be pointed out that they share the same lack of an integral floor as standard. 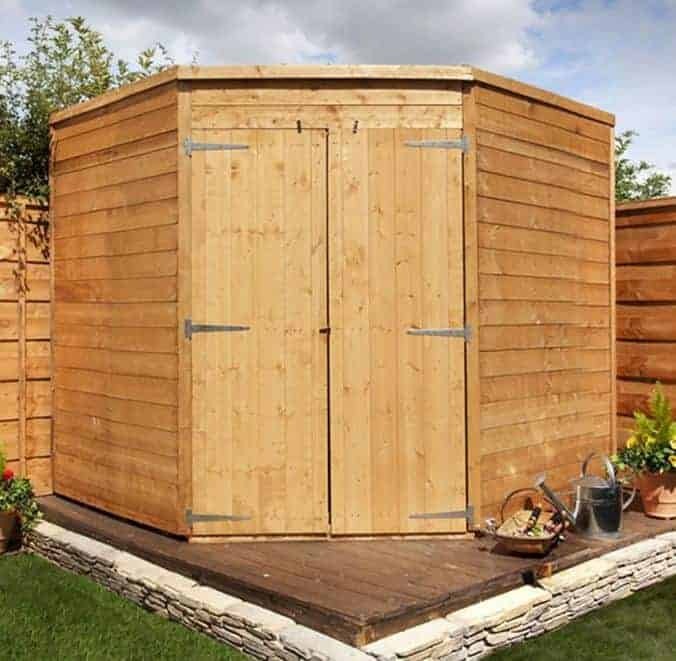 What instantly struck us about this shed was just how large it is, and the twelve foot by eight foot base area is augmented by a peak height at the top of the apex roof of 2.35m, which is approaching eight foot. 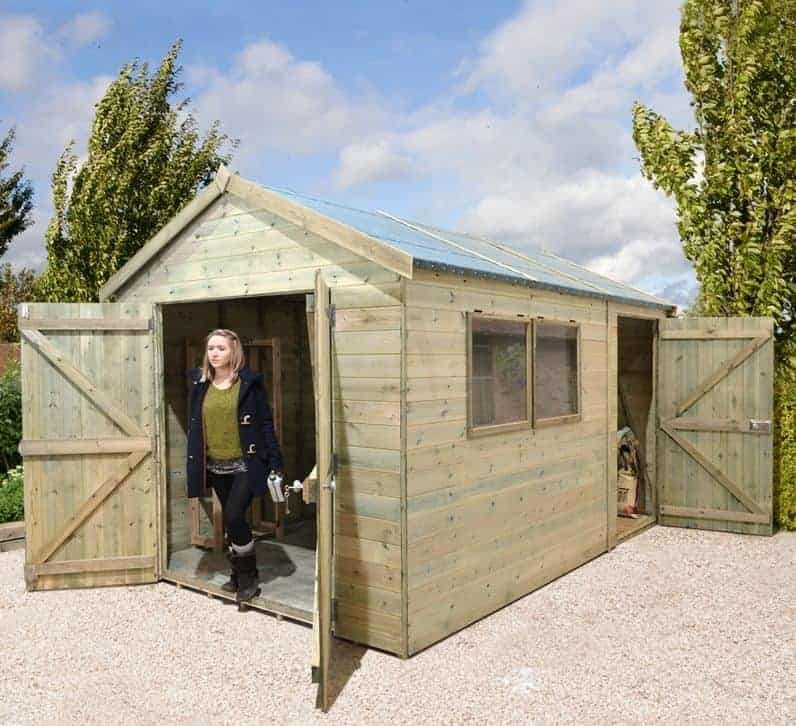 It means that this is a shed you won’t feel claustrophobic in and there should be more than enough space to use it to carry out a hobby or craft activity, or even to use as the base for a home run business. 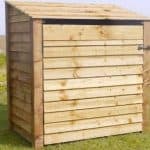 If you do want to use these wooden sheds for light commercial purposes then you’ll probably have to move large items inside, whether they be machinery, electrical equipment or pieces of furniture. That’s why we were pleased to see the large and wide double doors that dominate the frontage. We were also impressed by the bank of windows running along the full length of one side, as they’ll likely ensure that the interior is bathed in light. 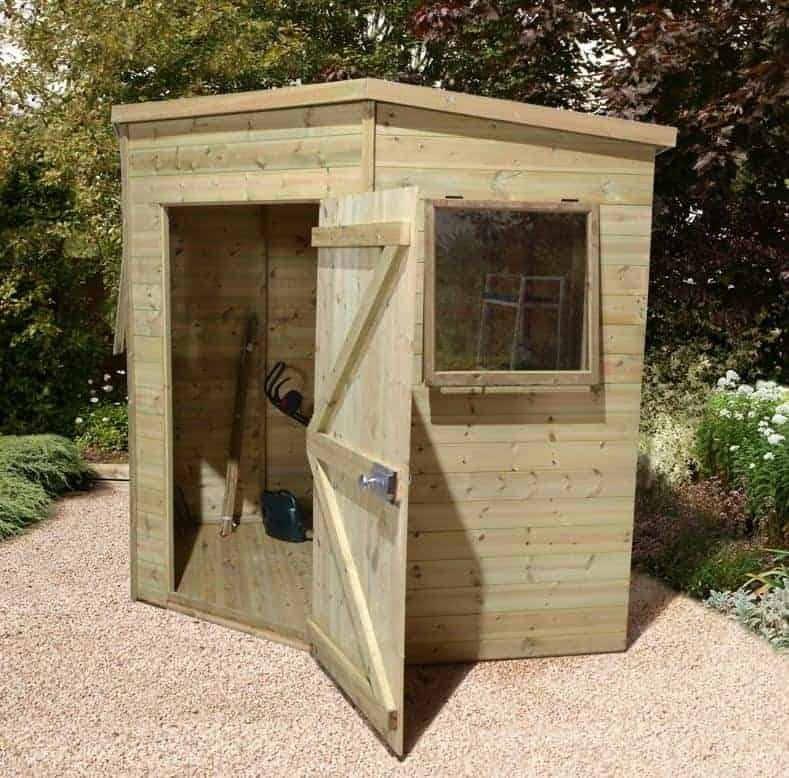 With a 10 year warranty included as well, we feel that the asking price of less than seven hundred pounds is more than reasonable for such a well sized and well built garden building. 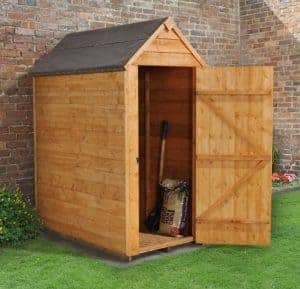 One of the many great things about these ten foot by eight foot wooden sheds is that they are really two sheds in one. 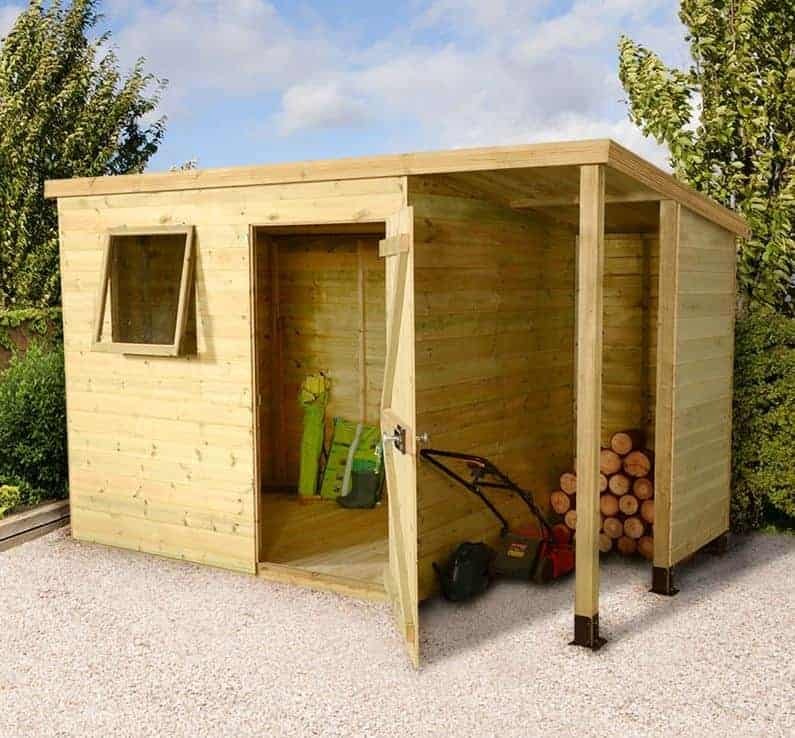 The majority of the building is taken up by a spacious and well built shed that could be used for either work, storage or leisure purposes, but at the rear is a secure storage area that’s accessible via its own single door that has a key operated lock. There are no windows looking on to this section, so passers by will have no way of knowing if anything valuable is being stored inside. This makes it a very secure storage space, giving the added value that takes this to the top half of our league table. We were also pleased to see that the two side windows featured toughened safety glass, which is not only reassuring if you have young children it again adds to the security of the sheds as a whole. Toughness is something we found throughout these wooden sheds, as the 34 x 34mm framing is thicker than we usually see. We were also very impressed at the use of an initial pressure treatment by the manufacturer, giving a very long lasting protection against wet rot, and meaning that they can provide a long and always welcome 15 year warranty. 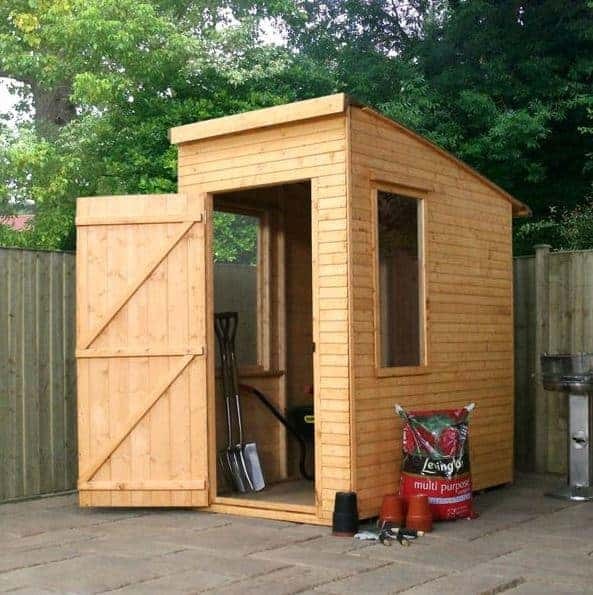 A mid sized garden shed such as this one can bring lots of advantages, meaning not only have you got enough room to store a large supply of tools, but also enough room to spend time inside whether relaxing or pursuing a hobby. 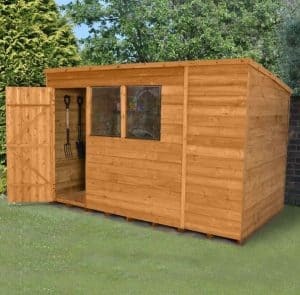 It may be, however, that you feel you don’t have enough room for a seven foot by seven foot shed, but that’s where this innovative design comes in particularly useful. It has five sides, which means that it can fit snugly into the corner of a garden, freeing up lawn space that would otherwise be occupied. 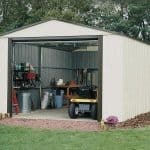 That’s not the only thing we found to like about these wooden sheds, as should also be noticeably stronger and sturdier than most that we see. Heavy duty 34 x 34mm framing has been used, and the single hinged door has strong bracing to give it added protection against opportune thieves. We were also pleased to find that toughened safety glass is used in the two windows, boosting security as does the door’s key operated lock. 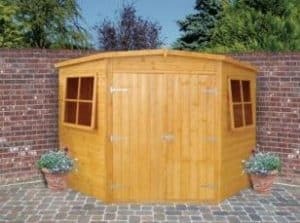 With a 15 year guarantee provided as the result of an initial pressure treatment, only the relatively high price for a shed of this size prevents it from reaching a much higher position in our WhatShed league table. 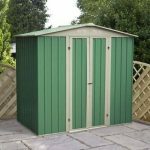 If you like wooden sheds that have an attractive and yet original appearance, then these eight foot by ten foot models from Mercia are certainly worth looking at. That’s because they are inspired by the traditional Dutch barns that were so successful on the continent. The initial feature that struck us was the four sided roof with decorative detailing that’s so reminiscent of a rustic barn, and when allied to smooth planed high quality tongue and groove cladding it’s very aesthetically pleasing. The other thing that was instantly noticeable about these wooden sheds is just how tall they are. 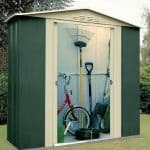 The peak height of 2.62m is as tall as any timber shed that we’ve seen, and this means that there’s a lot of vertical storage space that can be utilised with the addition of some shelving. 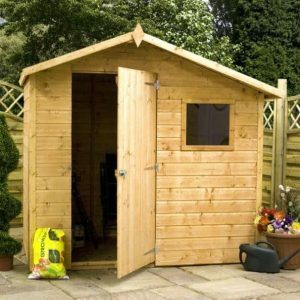 The double doors are also both wider and taller than we often see on the wooden sheds we review, and we were pleased to see that they feature a secure key operated lock. 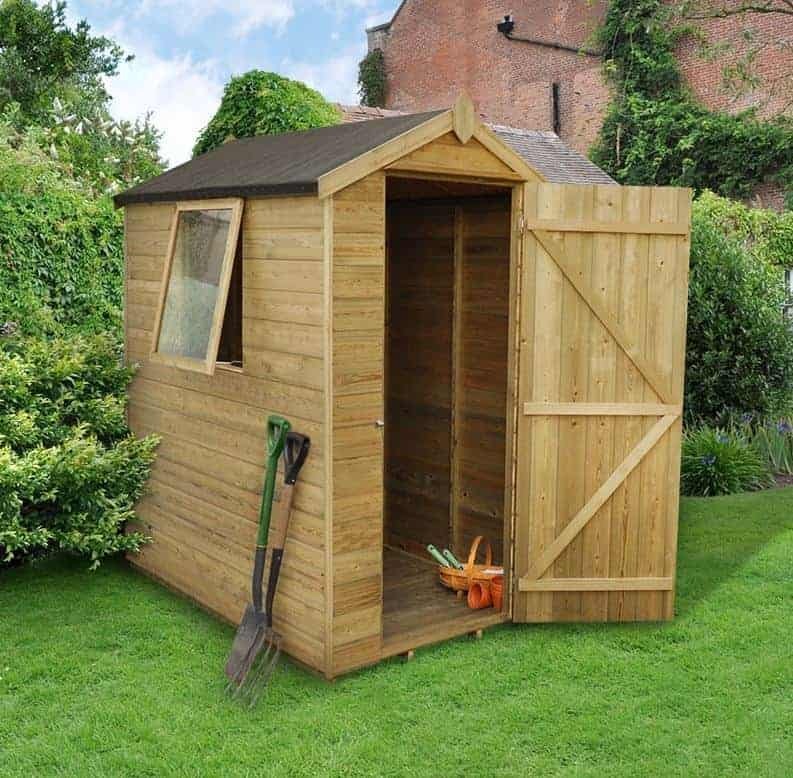 This is a garden shed that will certainly get noticed by your neighbours and friends, and as it’s also tough and durable, and comes with a 10 year guarantee, it deserves to take the final spot in the first half of our league table, despite its higher than average asking price. 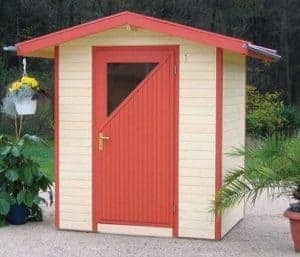 This is the third BillyOh shed to feature here, and they all have different looks and different benefits. What first grabbed our attention with this model was the wide opening double doors. 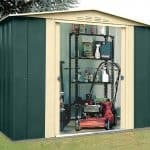 They make it very easy to get in and out of the shed, even if you are carrying a whole load of items. 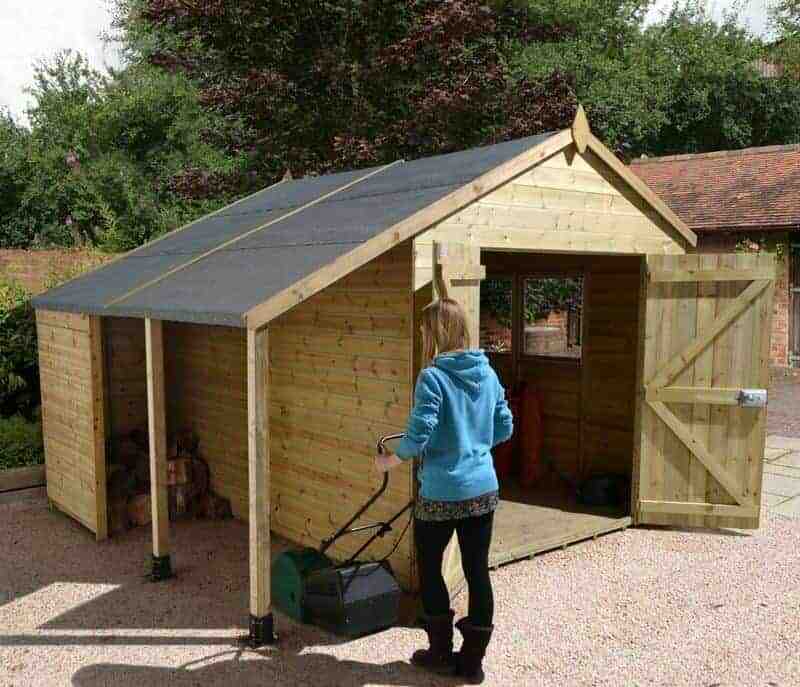 These kind of sheds usually have a good amount of floor space. This means that while they are great for a bit of general garden storage. They can also be used as a home office or some kind of workshop. The floor space is just ideal so you can use this for pretty much anything you want. Like most of the other BillyOh sheds, this model does not actually include a floor. So this is something that you are going to have to consider before you purchase. 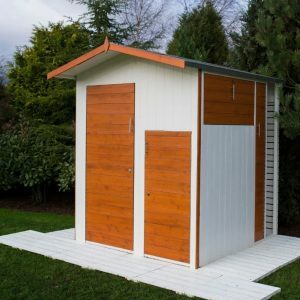 They do offer a variety of flooring options, but this and the many other customisation options and extras are the reason why this shed, as great as it is, does not feature higher up this list. 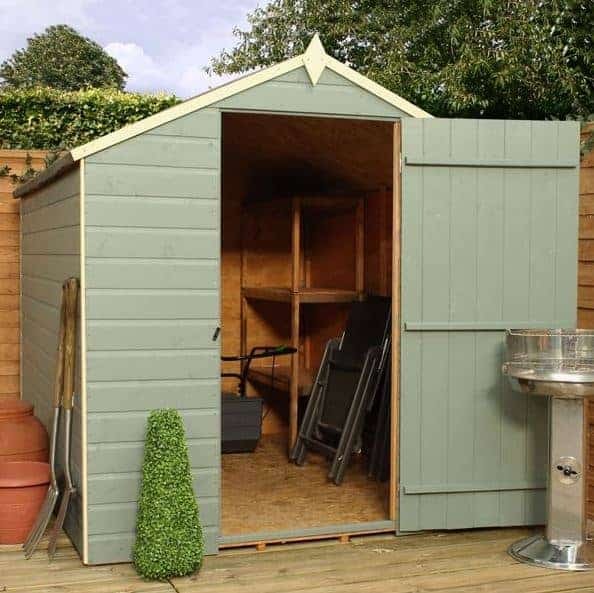 Still, for the price, this is a very well made shed that is sure to give you many years of use and it does have a fantastic look to it as well.